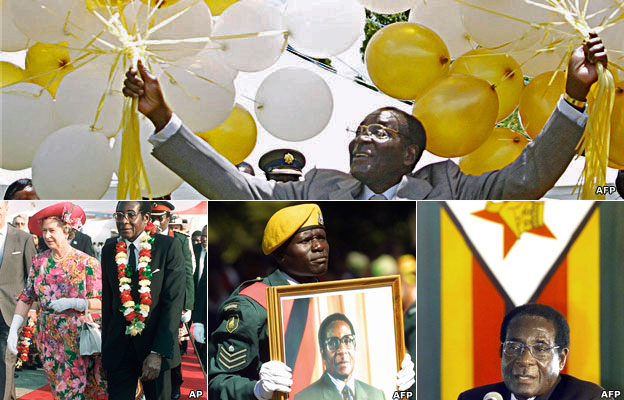 Robert Mugabe is turning 90 and a weekend of celebrations is planned in Zimbabwe to celebrate the president's long life. Born in the village of Kutama, south-west of the capital, he was educated by Jesuits and went on to become a teacher before joining the liberation struggle, spending 11 years in prison and becoming Zimbabwe's first leader in 1980. Here are nine things you may not know about him - and which may hold the key to his longevity. 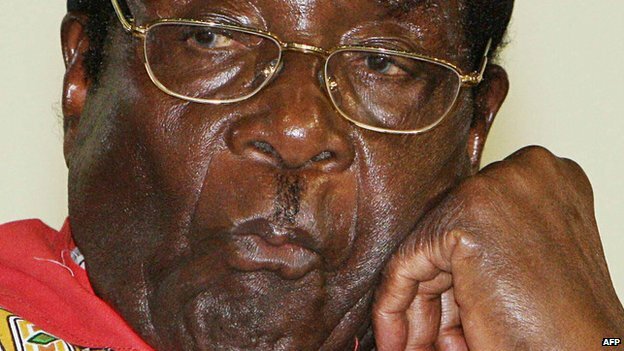 "I fall sick if I don't exercise," Mr Mugabe said three years ago. Needing little sleep, he gets up between 04:00 and 05:00 every morning to exercise while, according to a close source, listening to the BBC World Service. But he's not fond of the gym machines his wife has installed in state house and prefers to follow his own regime: "In prison we had no equipment, we just had ourselves and that's what I still do today." Another secret to his long life may be that he prefers his sadza - Zimbabwe's staple food - to be made the traditional way from unrefined grains, which is much healthier than the ubiquitous white version of the maize dish. Plus he doesn't smoke, although is known to have some wine with dinner. Despite constant rumours of ill health - a Wikileaks cable suggested he has prostate cancer - his health and political career appear robust. Cataracts are his only confirmed ailment - he had an operation to remove one this week. "I have died many times - that's where I have beaten Christ. Christ died once and resurrected once," he said when he turned 88. Although he was brought up a Catholic - his mother was very religious - he said in an interview with South Africa's public broadcaster SABC some years ago that he was not a devout Christian. He has long professed his love of cricket. 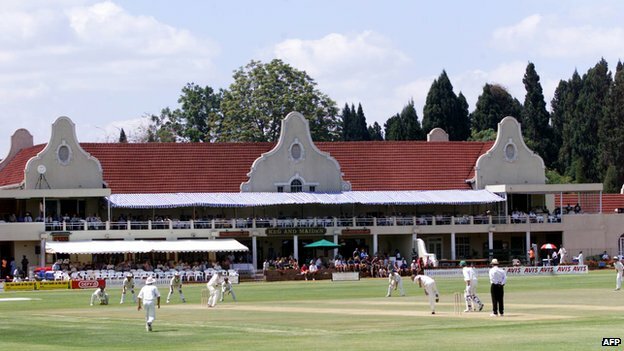 The patron of the Zimbabwe Cricket association, his official residence is right next to the Harare Sports Club, which allows the president to keep a watchful eye on the wicket during national matches. 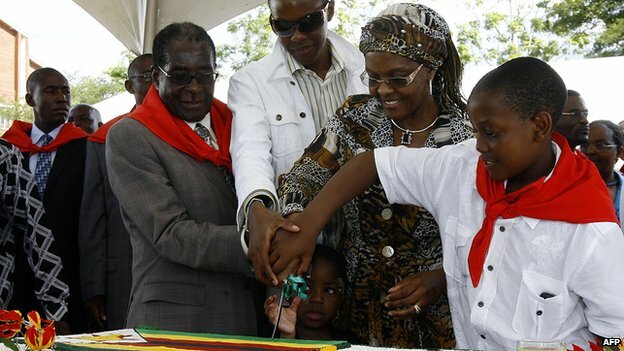 "Cricket civilises people and creates good gentlemen," Mr Mugabe said several years after Zimbabwe became independent. " I want everyone to play cricket in Zimbabwe; I want ours to be a nation of gentlemen." As a boy, Robert Mugabe was a "keen and good" tennis player, said a student teacher at the Catholic mission where he went to school. But when he lost he would throw his racket onto the ground. 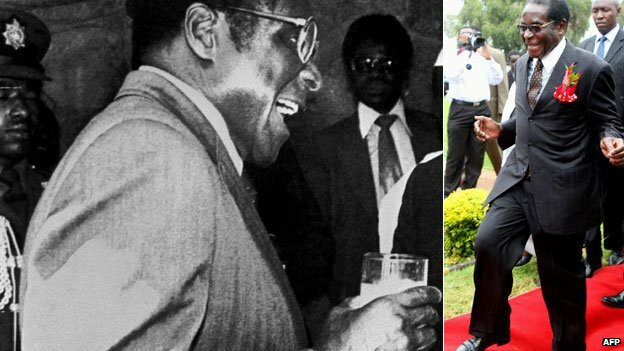 "You would see his head fall and his shoulders drop down and he would leave the court without saying anything to anybody," Brother Kazito Bute told Heidi Holland in her book Dinner With Mugabe. He's admitted he was a poor footballer when young, but now enjoys watching the game, being a self-confessed Chelsea and Barcelona fan. "When I watch soccer, I do not want anyone to disturb me," he said in 2012. "Even my wife knows where to sit because while they are scoring in the field I will also be scoring at home, kicking everything in front of me." The late Zimbabwean politician Edgar Tekere told the BBC's Brian Hungwe that when organising the independence celebrations in 1980, Mr Mugabe wasn't keen on having Bob Marley perform. The prime-minister-in-waiting is said to have stated that British pop star Cliff Richard was much more to his taste. Journalist Wilf Mbanga, who knew Mr Mugabe well in the 1970 and 1980s, said country singer Jim Reeves was another favourite of the president. Others have speculated that Mr Mugabe would have wanted the more clean-cut Jamaican singer Jimmy Cliff to perform at the festivities on 18 April 1980. His dislike of Rastafarians is well-known - he once warned young Zimbabweans: "In Jamaica, they have freedom to smoke marijuana, the men are always drunk. 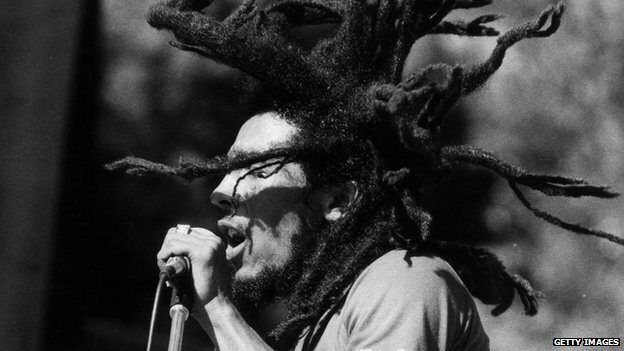 Men want to sing and do not go to colleges, some then dreadlock their hair. Let's not go there." Savile row suits, with matching tie and handkerchief, are what he is most comfortable in - and were his trademark until his former spin doctor Jonathan Moyo gave him a makeover in the early 2000s and he started campaigning in brightly coloured shirts emblazoned with his face and sports caps. Now his signature has inspired a designer fashion range. But his Zimbabwean tailor Khalil "Solly" Parbhoo says: "He still dresses like an English gentleman - that's always been his style." He told Heidi Holland: "His suits were always made in London or I think somewhere in Malaysia, now that he isn't welcome in Britain anymore." 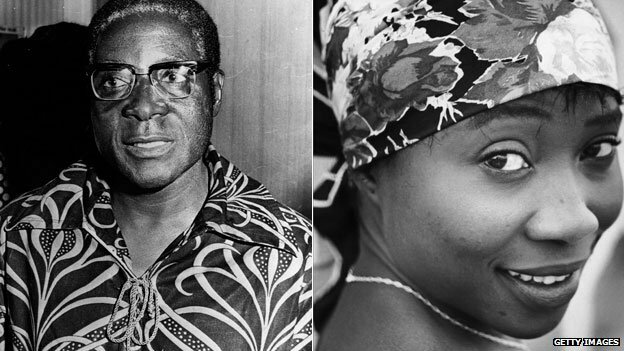 Mr Mugabe's political awakening happened while in Ghana, where he was a teacher and met his first wife, Sally Hayfron. He arrived a year after pan-Africanist politician Kwame Nkrumah had led the Gold Coast to independence in 1957, the first sub-Saharan country to throw off the shackles of colonial rule. He said he was inspired by their liberation encapsulated in Ghana's Highlife music. On his return home two years later, he began politicising people. "I started telling people… how free the Ghanaians were, and what the feeling was in a newly independent African state," he said in an interview in 2003. 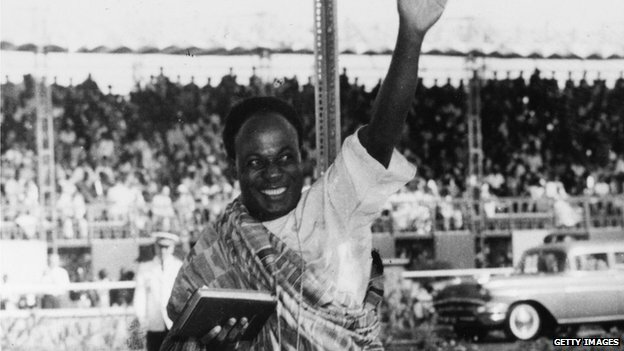 "I told them also about Nkrumah's own political ideology and his commitment that unless every inch of African soil was free, then Ghana would not regard itself as free." 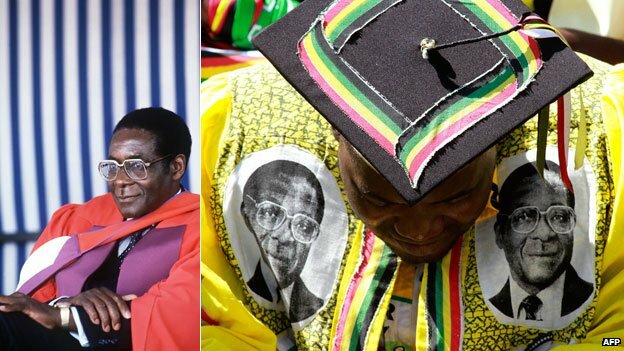 In total Mr Mugabe has seven degrees, first graduating from South Africa's University of Fort Hare, where Nelson Mandela studied, with a bachelor of arts. He did his other degrees by distance learning - two of them while he was in prison - in administration, education, science and law. He has also boasted of leading a party with "degrees in violence" - in a warning to trade unionists before strikes in 1998. A violent crackdown on opposition activists amid the political turmoil of the last decade has led several universities to revoke honorary degrees awarded to him for his achievements. Queen Elizabeth II also stripped him of his honorary knighthood as "a mark of revulsion at the abuse of human rights and abject disregard for the democratic process in Zimbabwe". 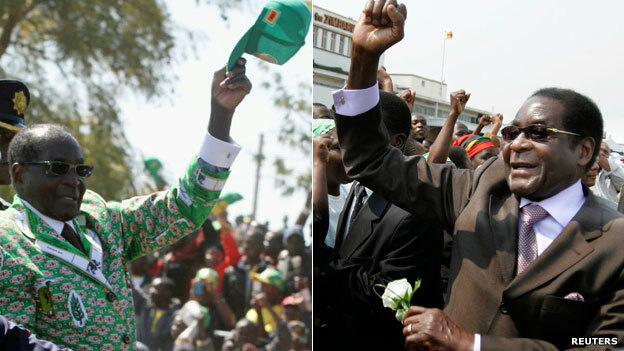 He has three children with his second wife Grace Marufu, his former secretary. The couple's third child, Chatunga, was born in 1997, a year after they were married. His first son, Nhamodzenyika, died of malaria at the age of three in Ghana. Mr Mugabe, then a prisoner of the Rhodesian government, was refused permission to join his wife Sally in Accra for the funeral.